I Finished Trollhunters, And It Does Get Better! 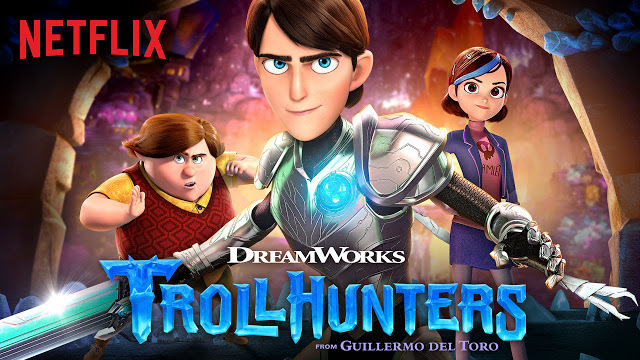 In my earlier review I had started Trollhunters and after I got about halfway through it I was not sure it was right for me. I pushed through after some urging from my friends and family, and I am happy to report that the second half does get much better. The ending is particularly strong. It is still not my favorite show out there, but I am now looking forward to the upcoming second season which will still feature Anton Yelchin’s voice. I think if I was in the target demo for this show I would like it even more than I do, but as it is now, it is a fun show. The first season has some filler episodes to get the count up to 26, but the second season will only have 13, so maybe that will help it out. Plus the cliff hanger at the end of season one was pretty major, so it should be pretty fast paced. Netflix continues to add to its great collection of shows. Previous PostPrevious Shmee Takes A Trip To La La Land!